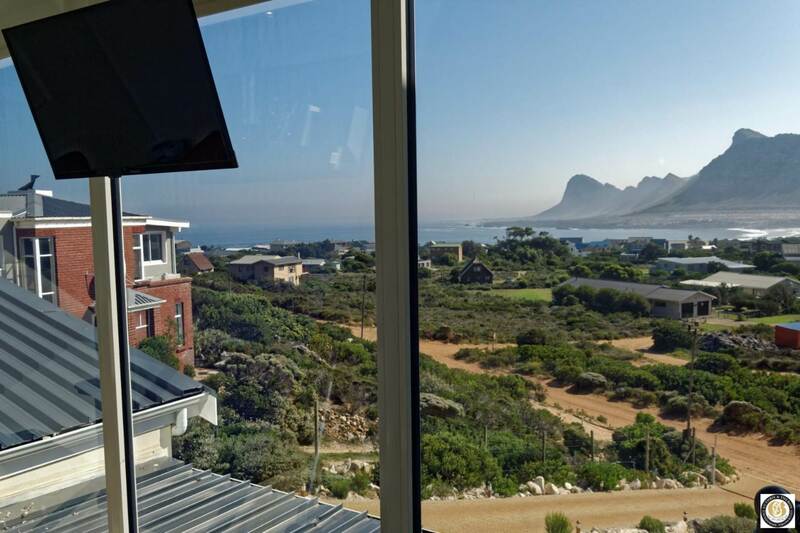 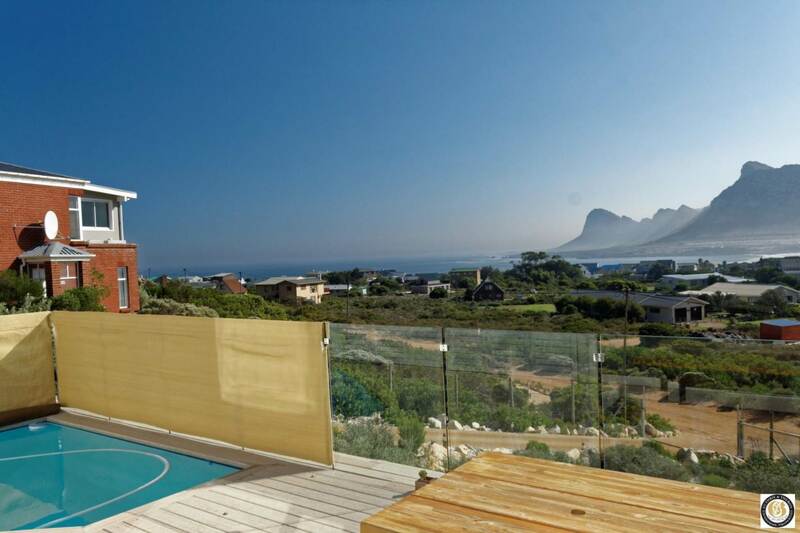 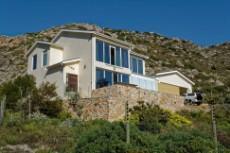 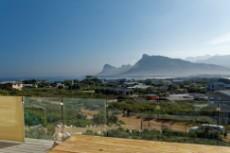 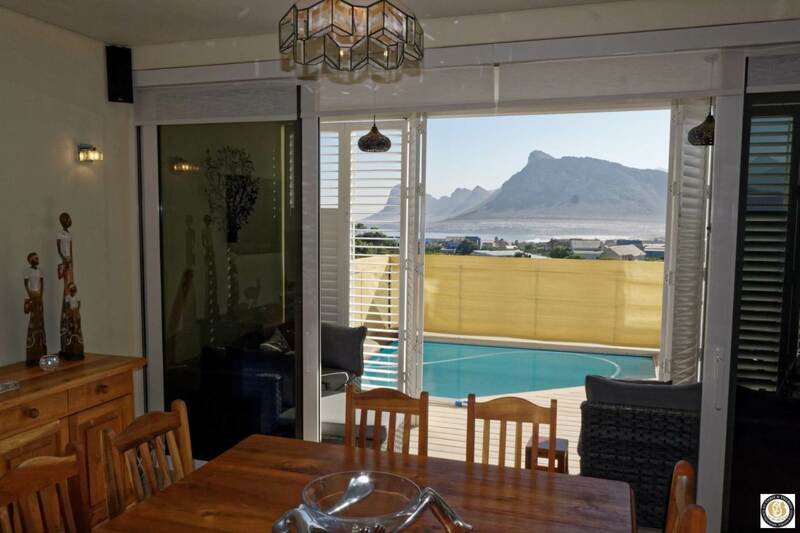 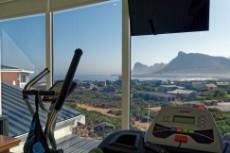 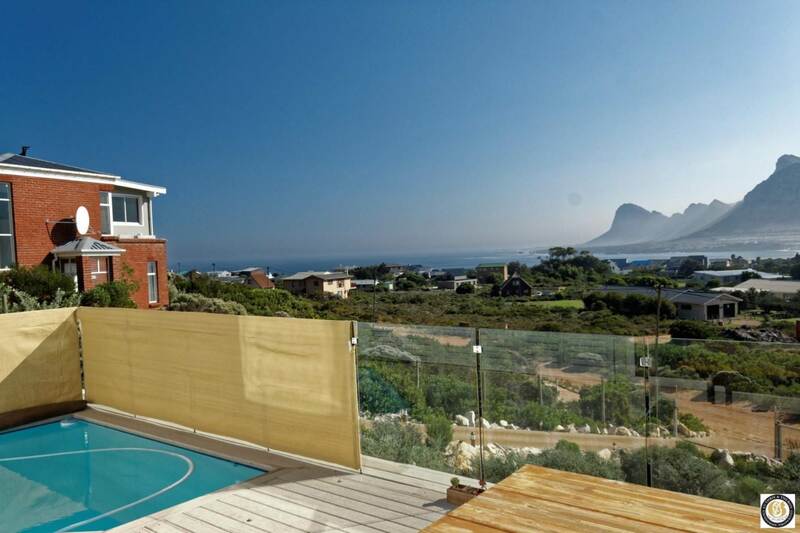 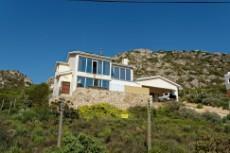 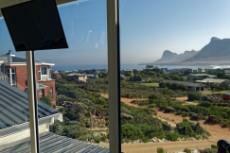 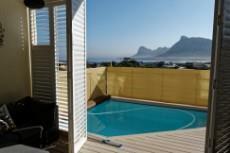 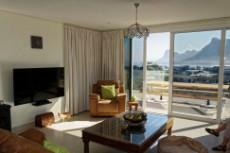 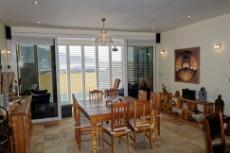 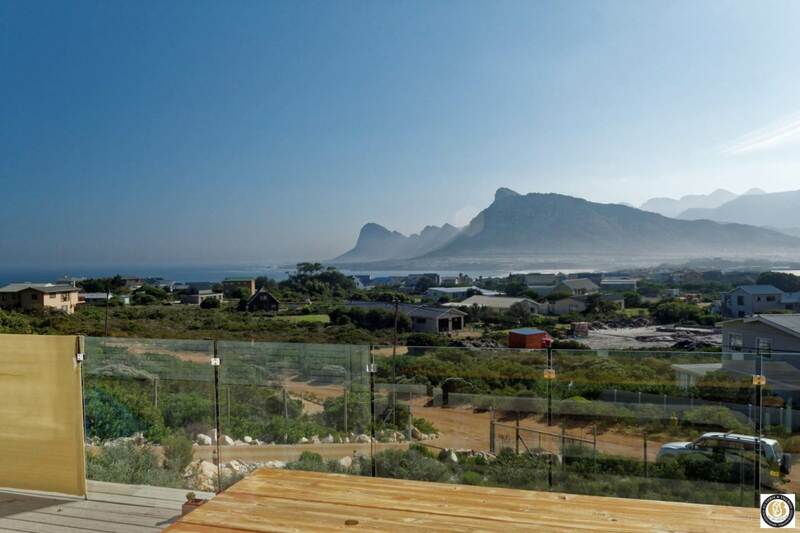 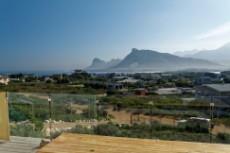 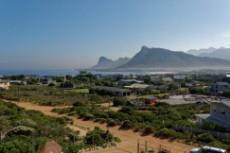 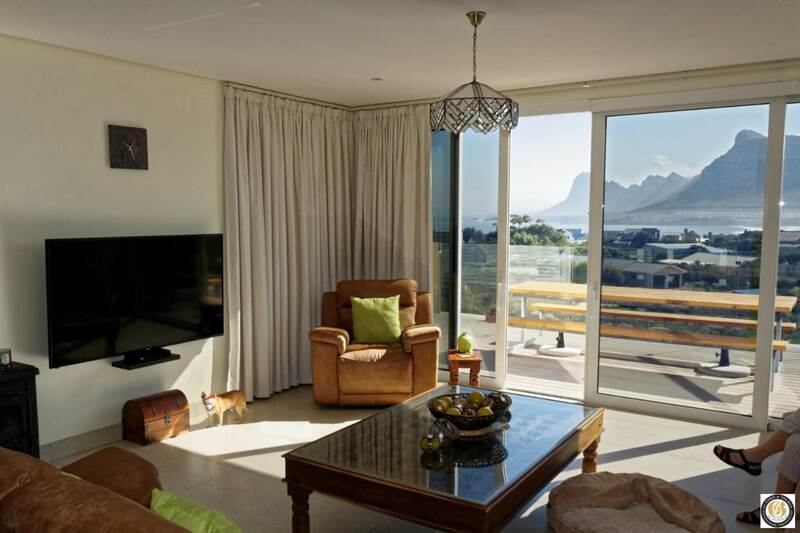 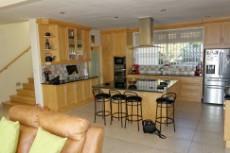 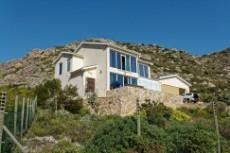 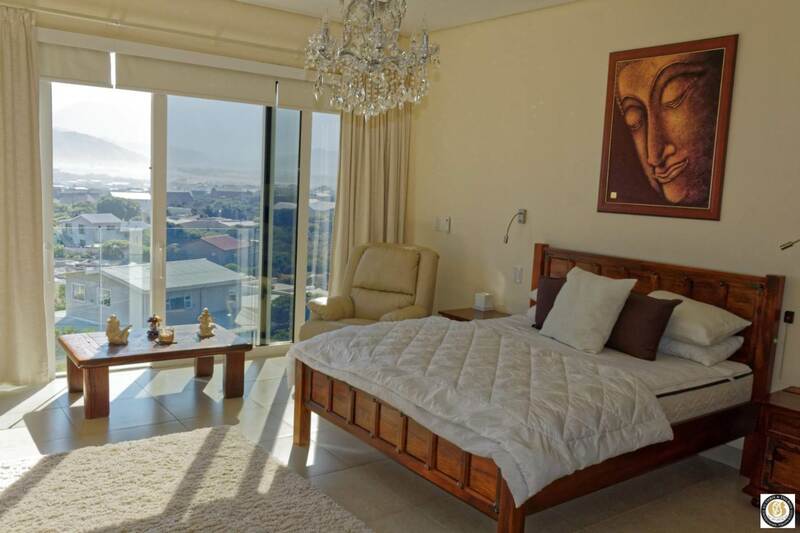 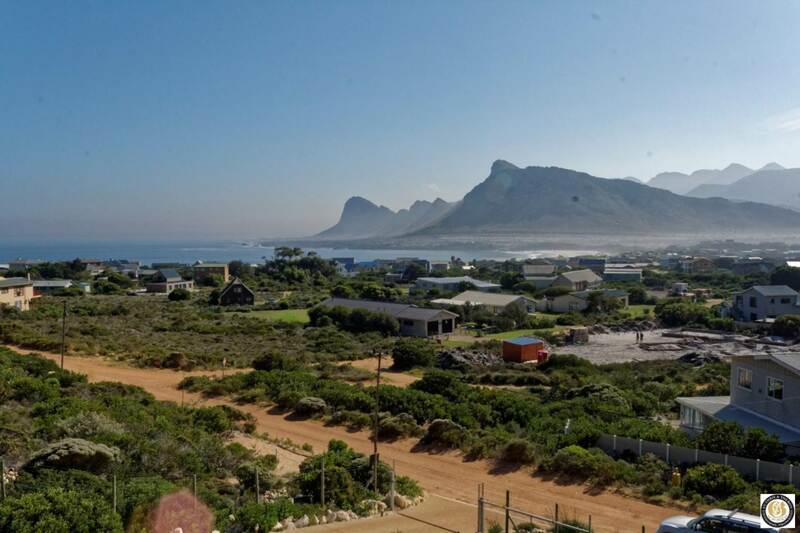 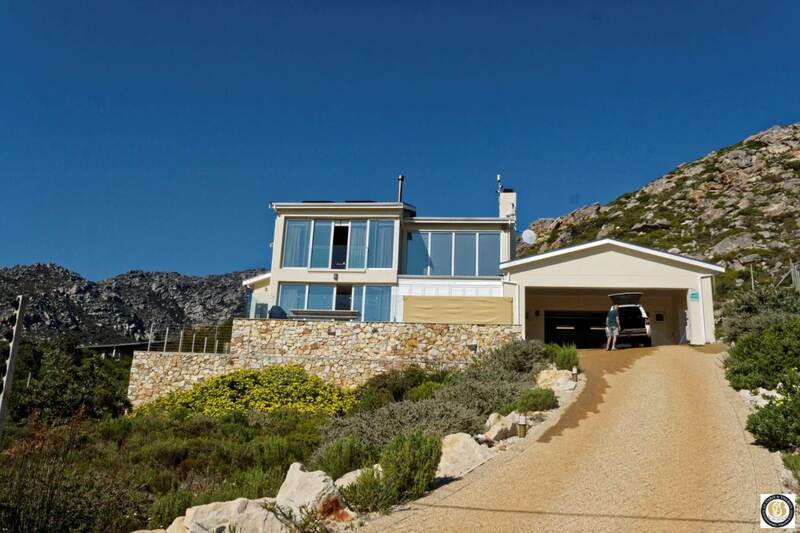 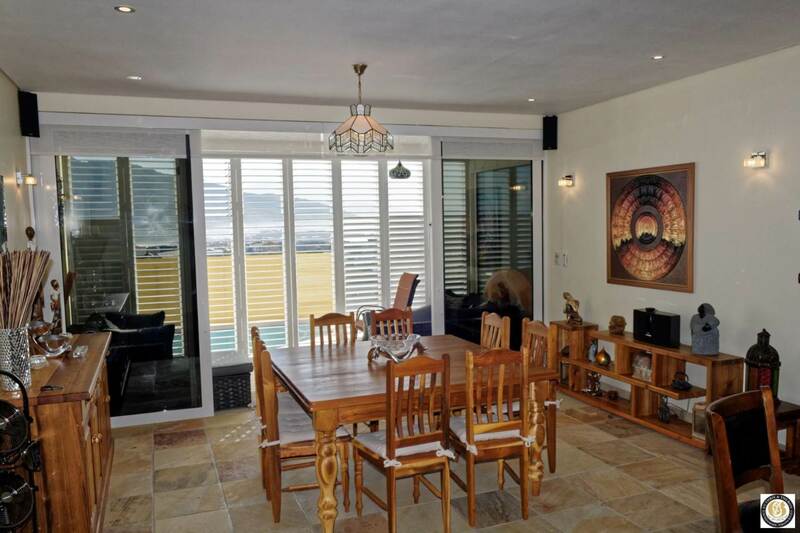 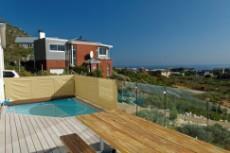 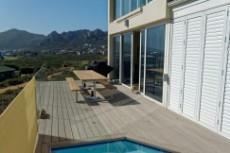 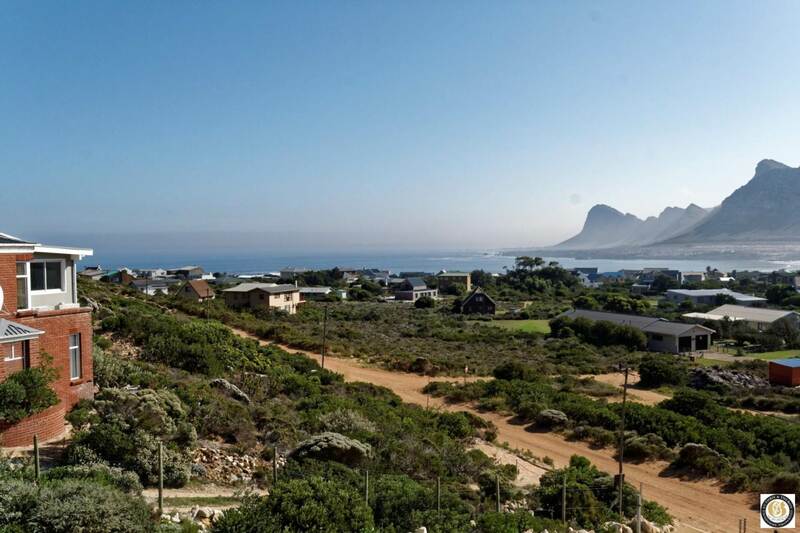 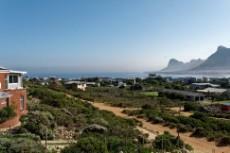 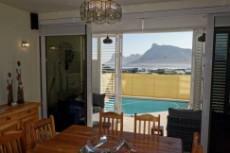 Class for sale against the mountain in Pringle Bay! 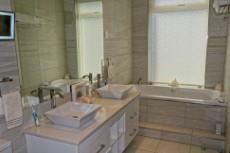 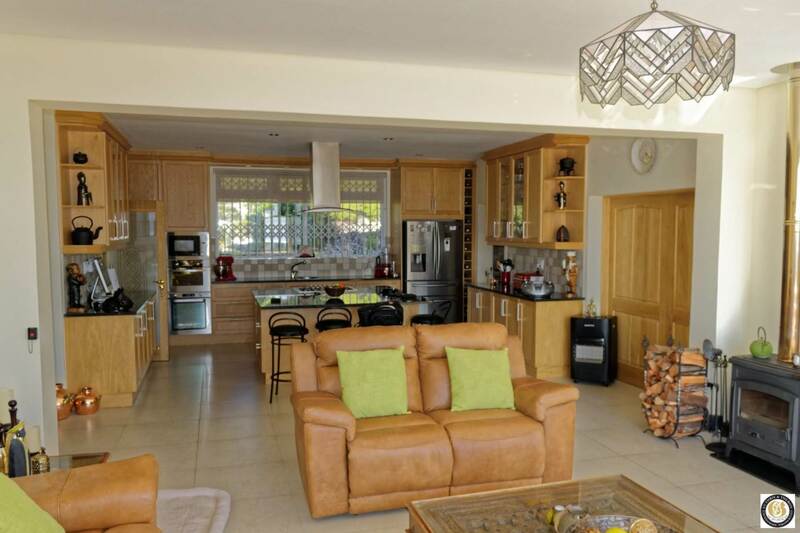 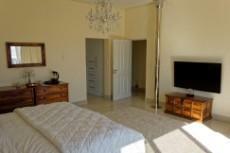 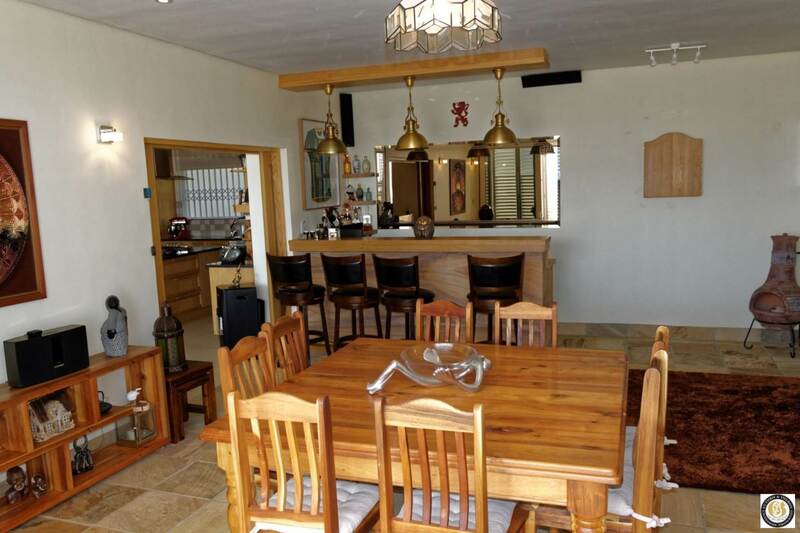 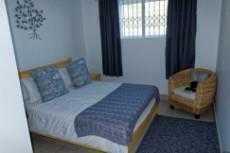 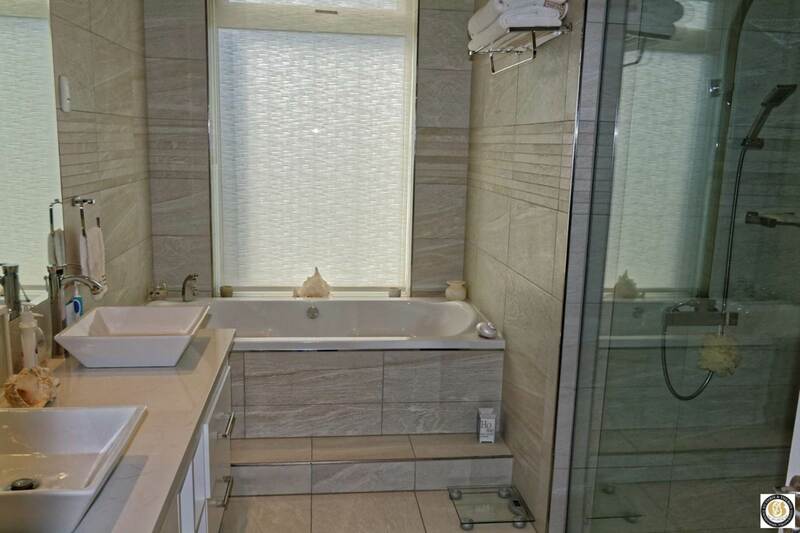 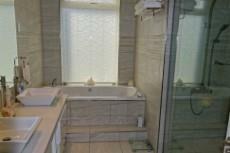 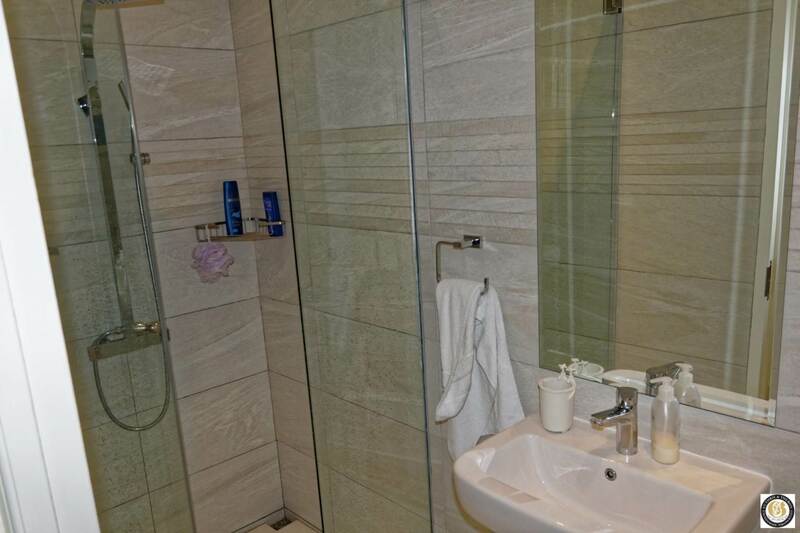 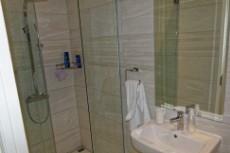 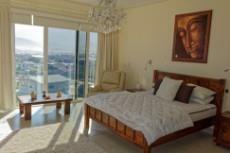 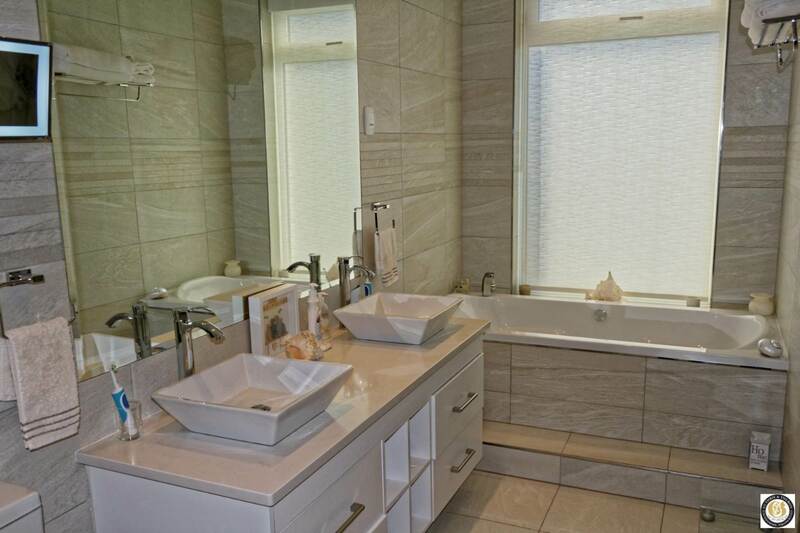 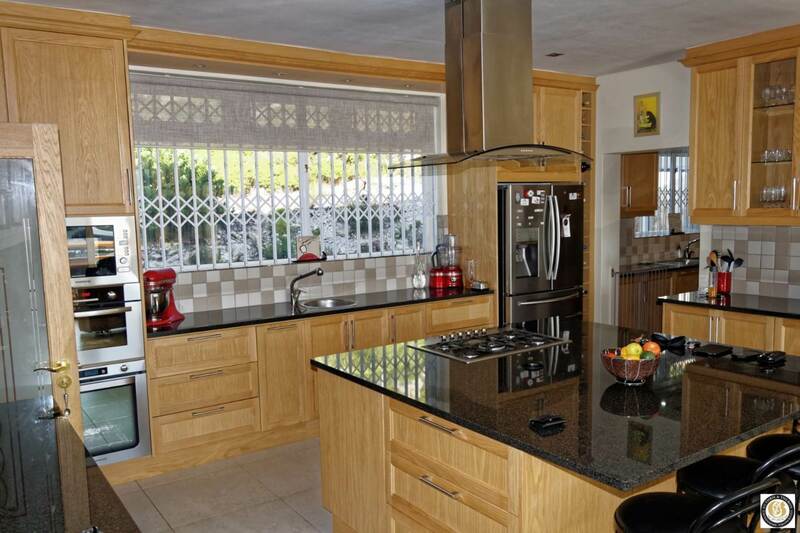 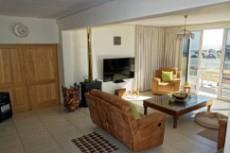 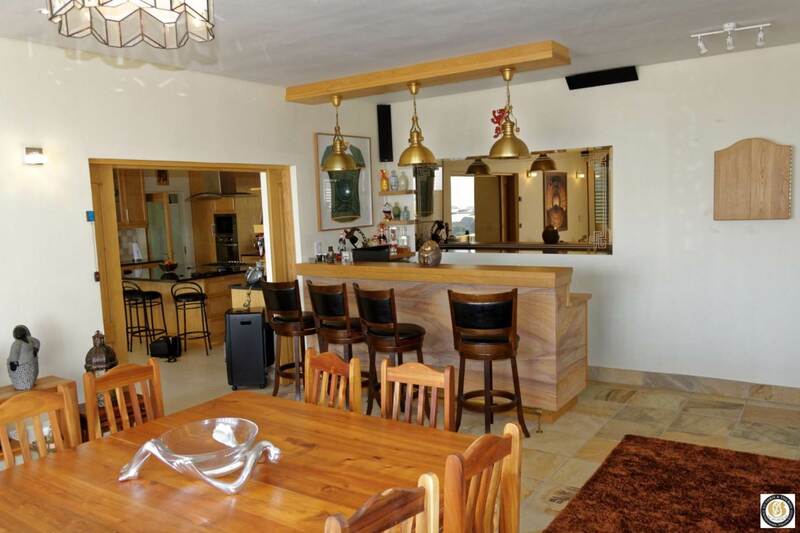 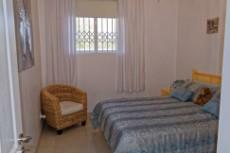 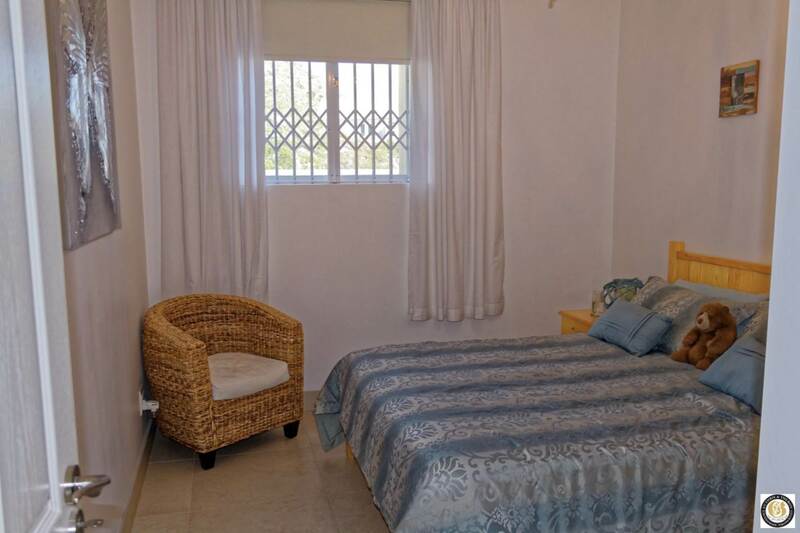 In this exceptional property you have all the bells and whistles. 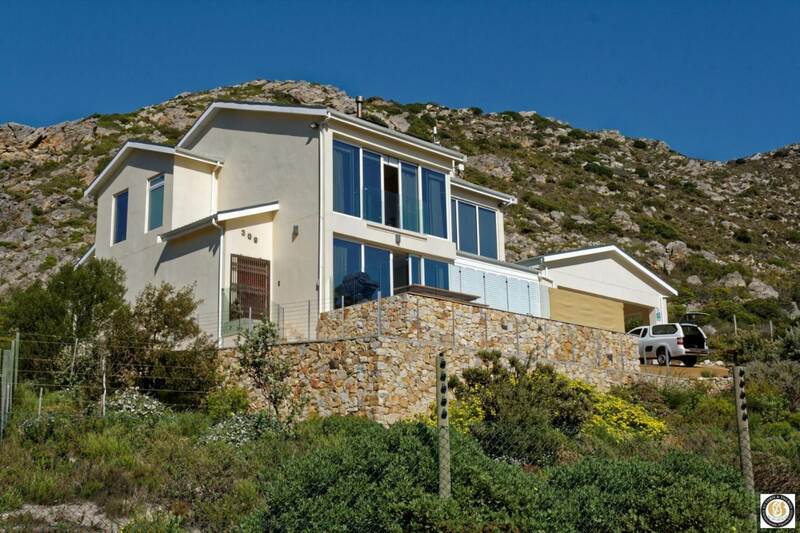 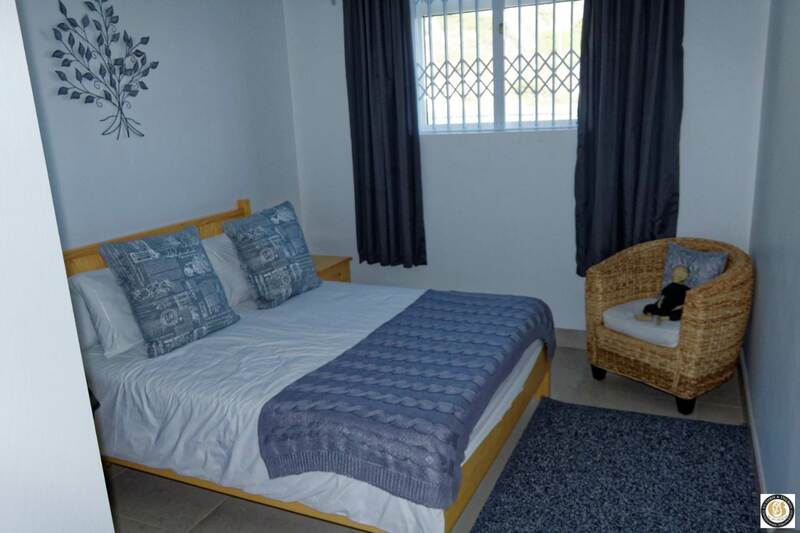 It is situated on the mountain slopes of Pringle Bay, overlooking the bay and views over the ocean all the way to Table Mountain. 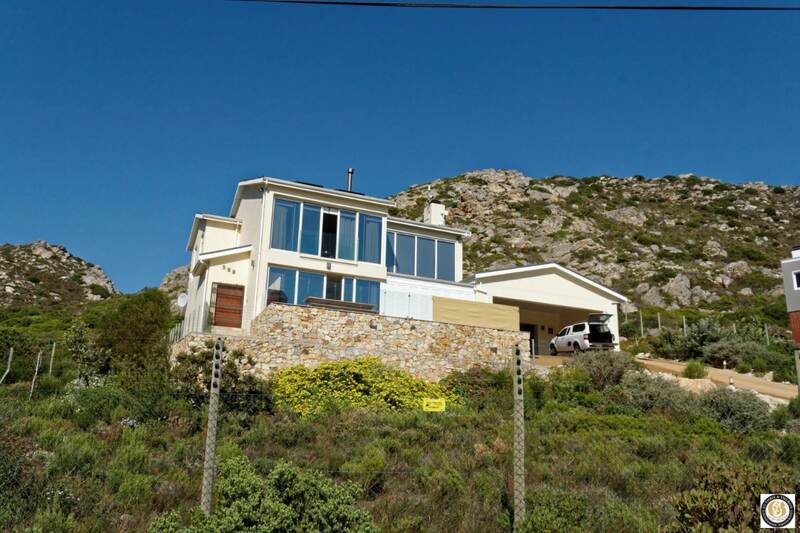 The huge plot is totally fenced with electric fencing on top, the Fynbos has been left in tact as far as possible, not to disturb the ecology. 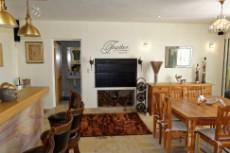 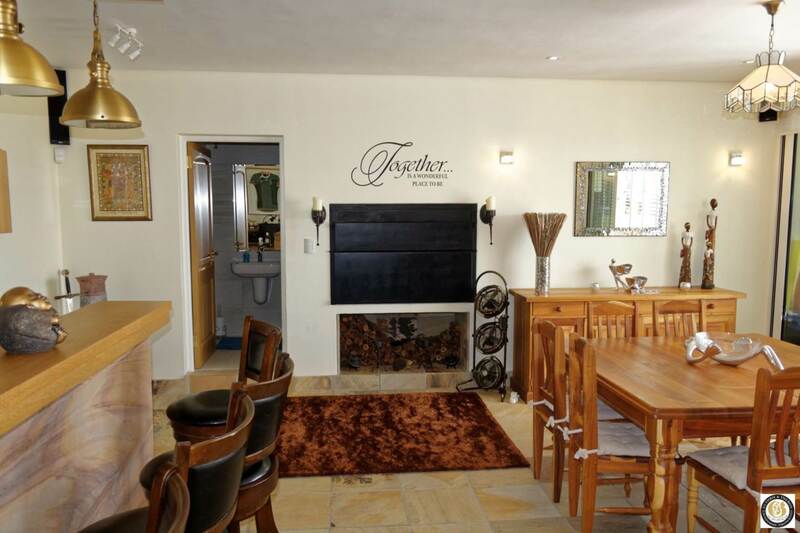 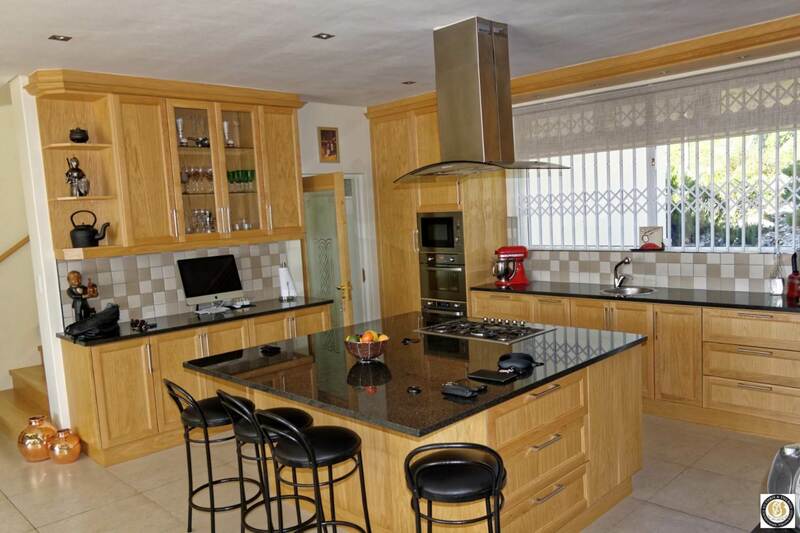 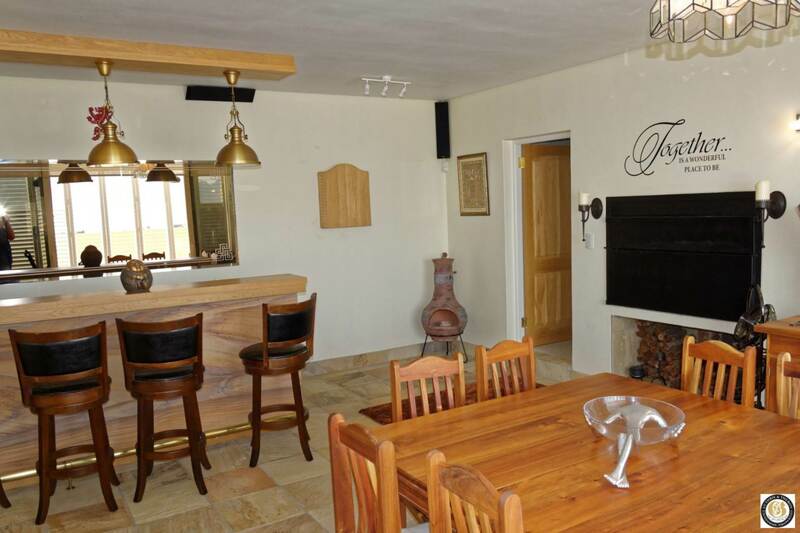 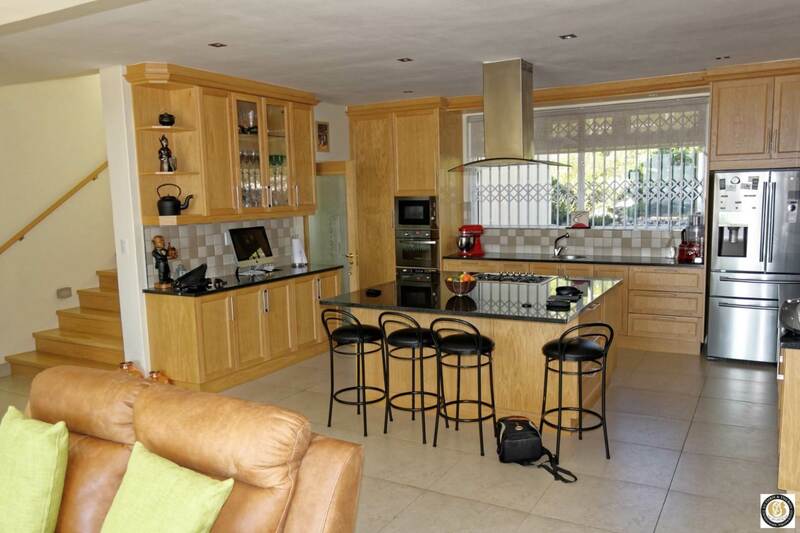 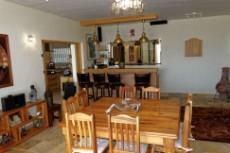 This property is ideal for entertaining yet cosy enough for just the family. 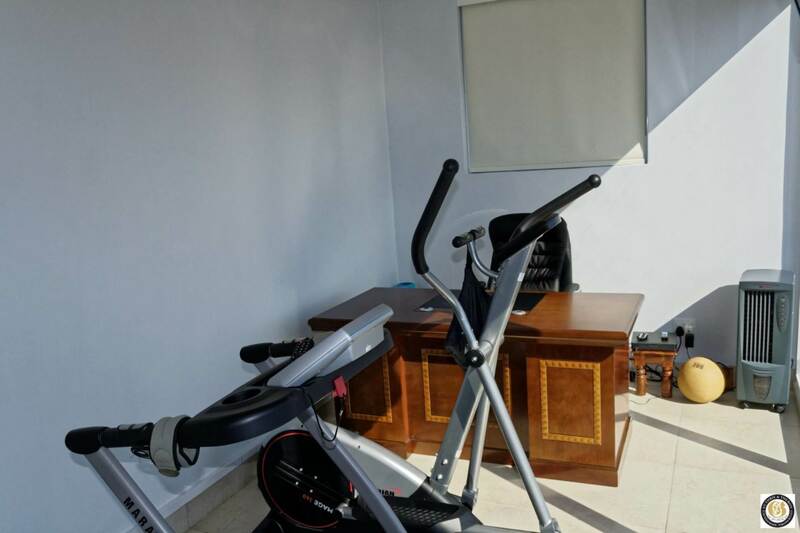 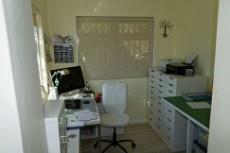 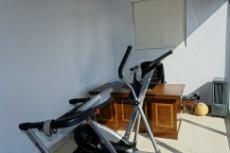 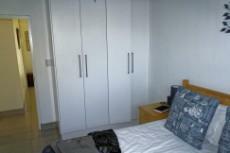 The garage is enormous, place for your vehicles as well as your hobbies and leads directly into the house. 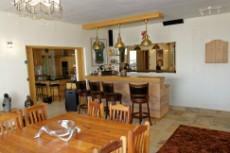 On the ground floor the property offers a huge open plan state of the art kitchen, lounge and dining as well as an office and separate built-in bar. 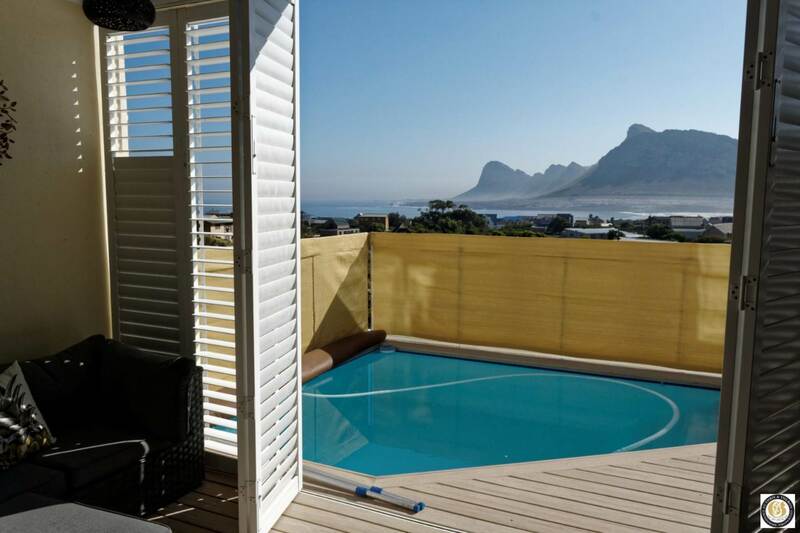 Just off the bar is a sun room which leads onto the deck with a splash pool from where you can enjoy the whole vista of the Cape and in winter you can watch the whales mating and rearing their babies in the bay. 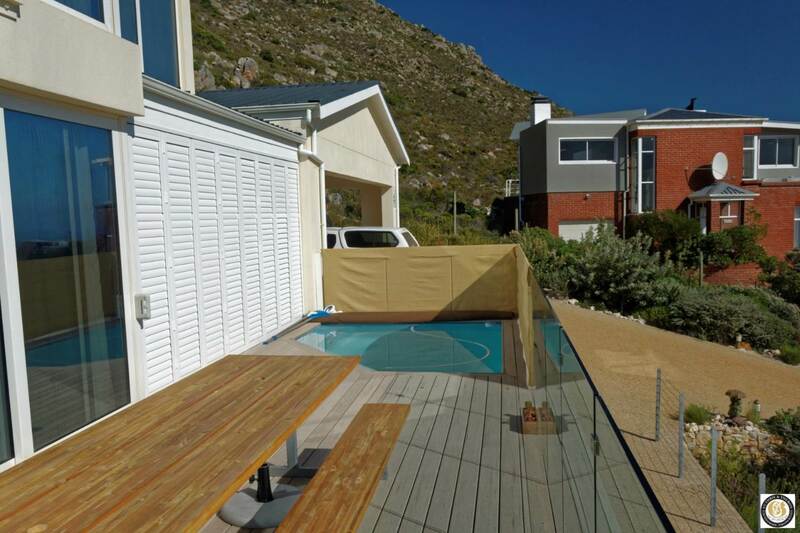 The patio leading from the lounge area, is protected from the South-Eastern wind. 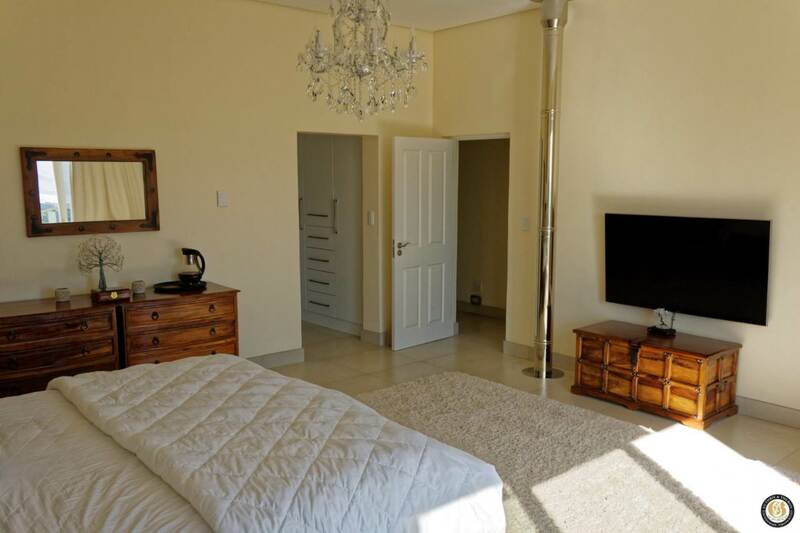 The wide staircase leads onto the top floor which offers 2 large bedrooms, 1 bathroom, as well as the master bedroom & en-suite and a gym room. 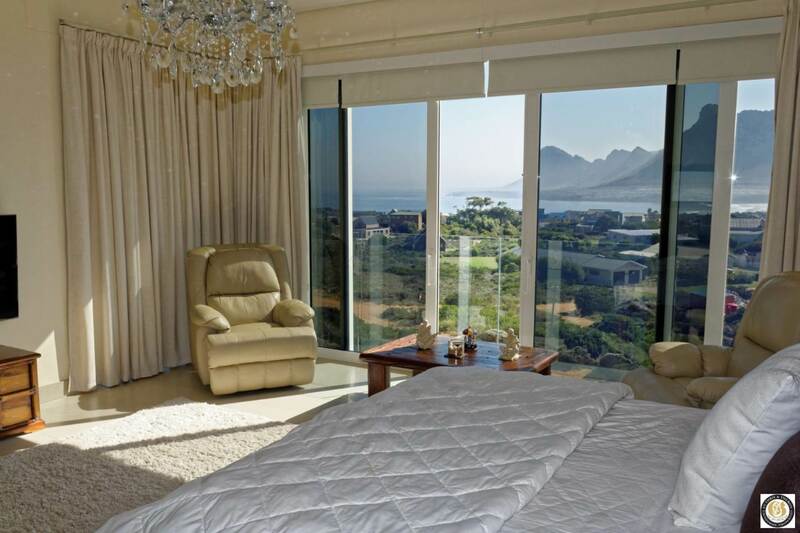 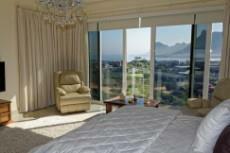 From all the rooms in the house there is a magnificent view of either the ocean and/or the mountains. 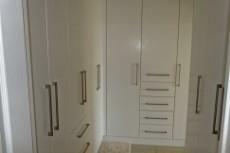 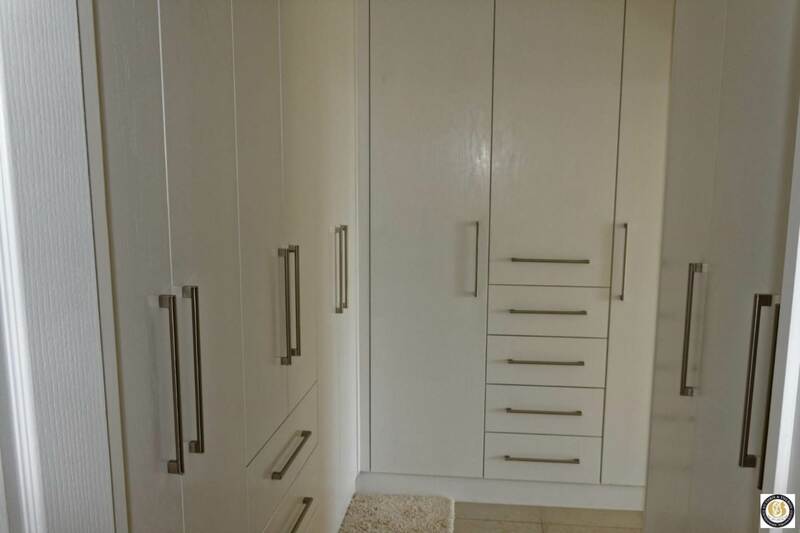 All finishes in the house are of a very high standard, no short-cuts were taken either with the planning, building or the finishing of the property as well as the fencing. 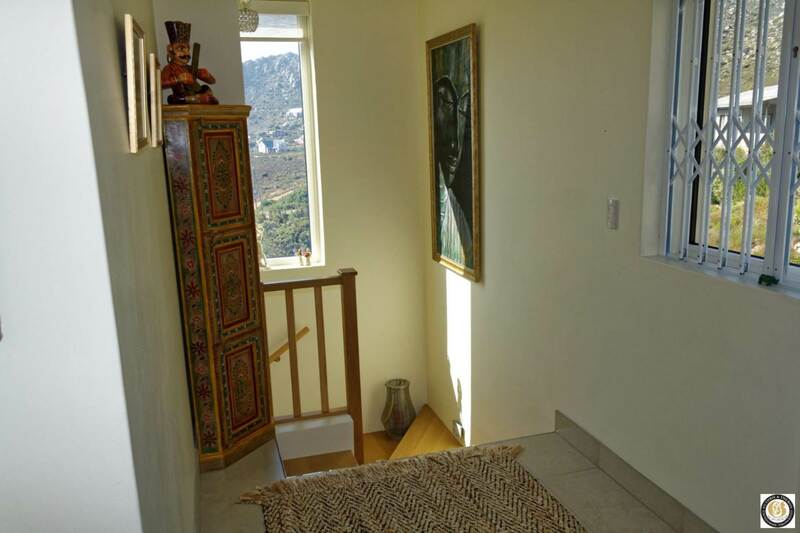 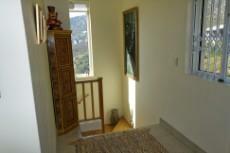 A home like this and especially on the northern side of the mountain seldom comes onto the market. 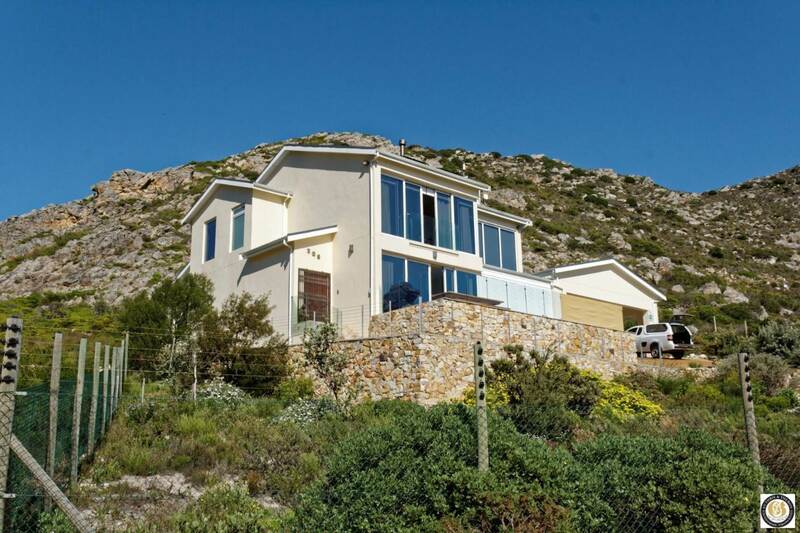 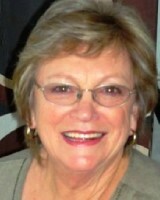 Do not miss the opportunity to own a really exceptional property. 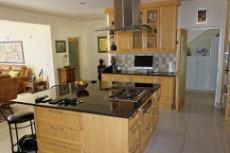 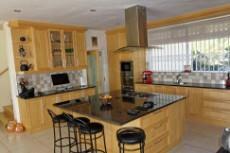 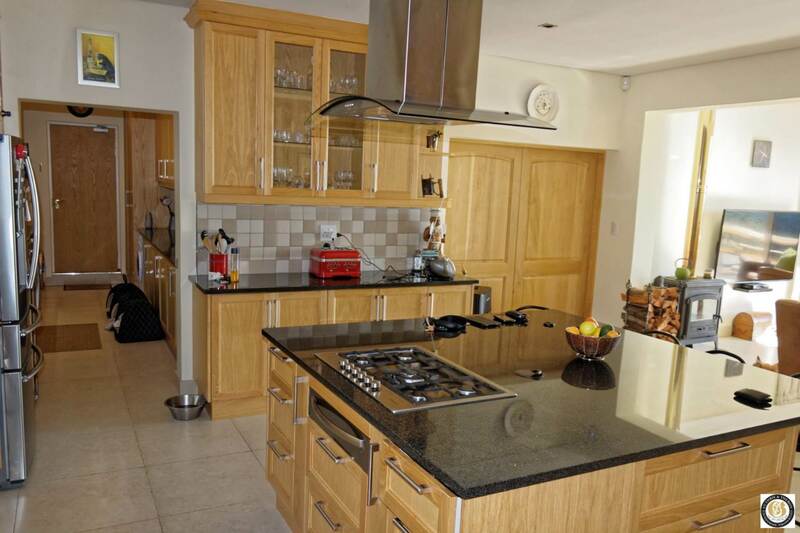 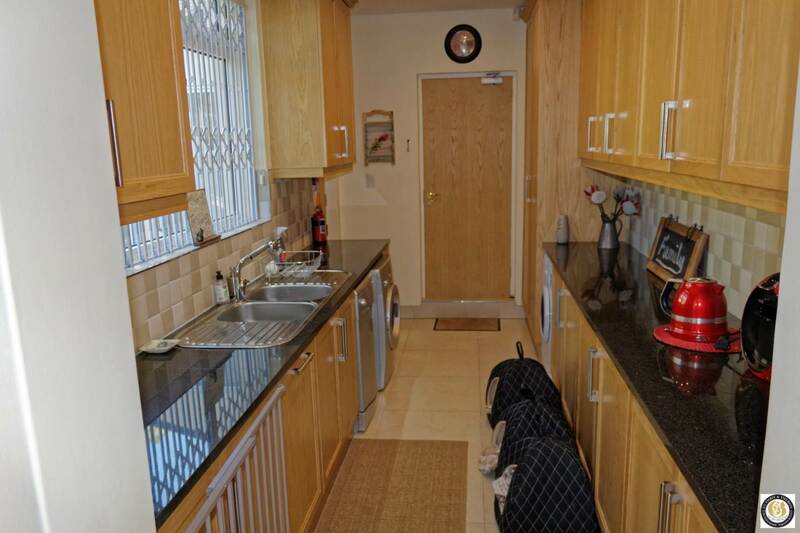 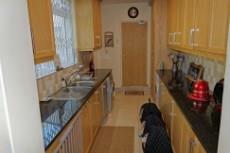 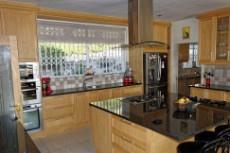 Kitchen Granite tops, LOTS of cupboards, separate scullery/laundry. 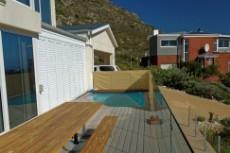 Garden Mostly low maintenance Fynbos, fully fenced with electric fence tops.